The Moto G7 series is starting to show up in stores, which means last year's devices are becoming even cheaper. 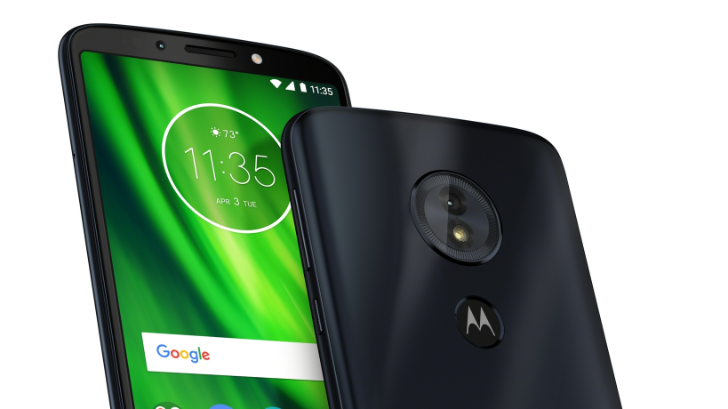 The Moto G6 Play, one of Motorola's lower-end phones from 2018, has now dropped to just $159.99 on Newegg. If you're not familiar with it, the Moto G6 Play has a Snapdragon 427 processor, 3GB of RAM, 32GB of internal storage, a microSD card slot, a large 4,000mAh battery, a headphone jack, and a 5.7-inch 1440x720 IPS display. Not bad at all for $160, and it should get Android 9 Pie at some point. Like most Motorola phones in the US, the G6 Play works with both GSM (AT&T, T-Mobile) and CDMA (Verizon, Sprint) networks. You can buy the Moto G6 Play from the link below. Make sure to use code NEFPBF57 at checkout to get the full discount.